The Samsung flagship goes on sale just a few months after Apple's revamped competitor, so which is better? Great pictures are essential for any top-end phone. Samsung has equipped the S10+ with three rear-facing cameras—one for close-ups, one for standard shots, and an ultra-wide one for expansive scenes. The iPhone has two lenses, however, which on paper seems to put it at a disadvantage. The truth is that lenses alone don’t determine the quality of the picture, and Apple has always preferred a “quality before quantity” approach to features, but having three lenses to play with instead of two should win over creatives for the sheer versatility. 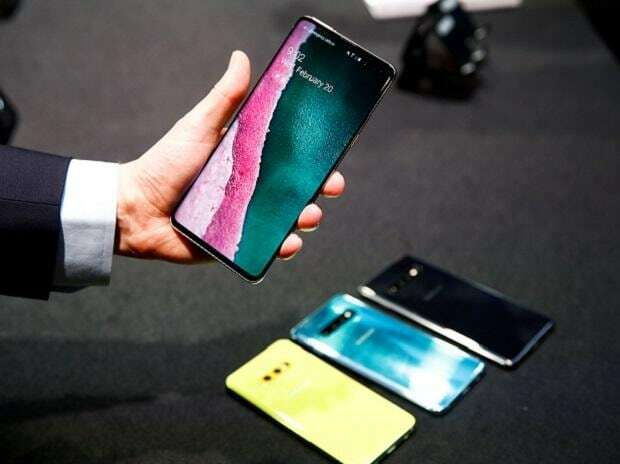 As for the customer on the fence over whether to defect from one manufacturer to another, it’ll be a trade-off between display notch versus display hole punch, advanced facial recognition versus fingerprint reader, and tight hardware-software integration versus expandability. And iOS versus Android, of course—the ecosystem of apps and subscription services are playing an increasing part in keeping customers loyal.